This unique design lighter is part of the Urban line, also called "Hammer" due to its hammer lid design. 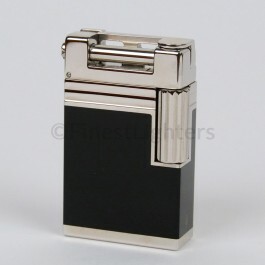 The lighter is finished in authentic black Chinese lacquer, with palladium (platinum) accents. Urban line of lighters was produced from 1999 to 2005 and is completely sold out.